Hosted by Preschool of the Arts, Madison Public Library, and Overture Center for the Arts, the exhibit is an unprecedented opportunity for educators, policymakers, and families to explore the incredible learning potential in the early years of childhood. Since its debut in 2008, more than 120,000 people have encountered The Wonder of Learning and engaged in professional development initiatives aimed at advancing knowledge and action for early childhood education. The exhibit will be housed in the children’s room at the Central Library and the Playhouse Gallery at the Overture Center. 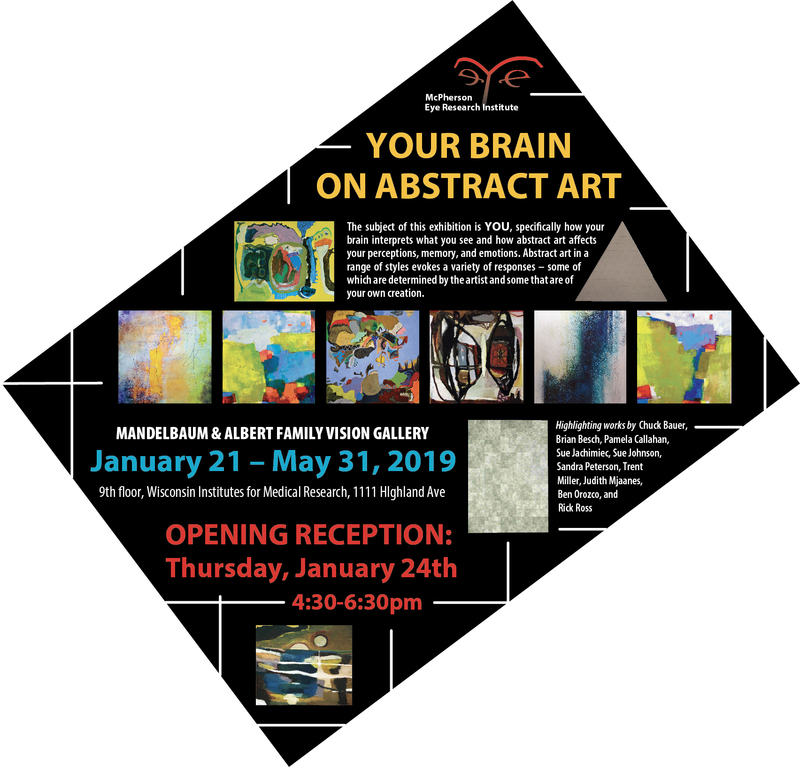 The subject of this exhibition is YOU, specifically how your brain interprets what you see and how abstract art affects your perception, memory, and emotions. Abstract art in a range of styles will include works by Chuck Bauer, Brian Besch, Pamela Callahan, Sue Jachimiec, Sue Johnson, Trent Miller, Judith Mjaanes, Ben Orozco, Sandra Peterson, and Rick Ross. "Imagine And Adapt: Possibilities In A Changing World"
What’s a proper fitting, and a nine-cubit binding?